One hand after doubling up David Valdez, Wilton Alejandro runs in to the steamroller otherwise known as chipleader Paul Richardson. 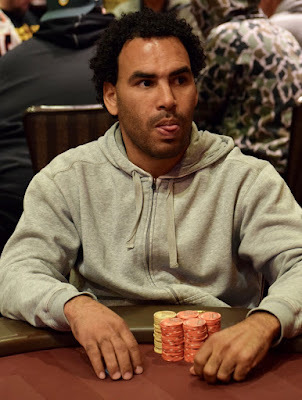 Alejandro is eliminated in 12th palce in the Main Event, cashing for $4,199. Richardson, 4th last month in the WSOP Circuit Main Event for a career-best $57k, has almost 25 percent of all the chips in play.